Aurora, CO – April 1, 2019 – Advanced Assembly, a leading provider of SMT assembly for engineers, today announced it has become a valued partner with a local defense contractor and bio engineers for a new state-of-the-art assembly process, soon to become the leading edge in technology called Arachnifoil. 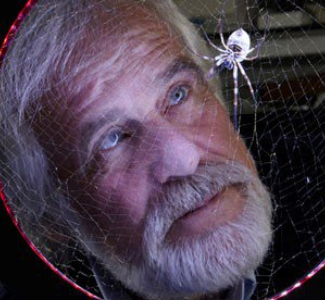 Dr. Cronner, the leading bio engineer with Ascrope, has crossed two species of spiders. The first of the two is a recently discovered species that produces natural occurring tin deposits in their spider silk, the Miagrama Metalinis. The second spider, Araneoid Ord, is known for having silk with the highest adhesive properties. Engineering the two species together has produced the Stannum Araneae spider, which has a silk that is solderable and is stronger than any lead-free solders available today with no whiskering effects. New spokesman, Toby Magwire, will be in our electronic trade show tech booth this year to discuss capabilities and manufacturing concerns. With the new Arachnifoil paste for SMT assembly, Advanced Assembly can meet every application process you may have and take you and your designs into the next millennium. “You can literally hang from this stuff,” Lawrence Davis said. Advanced Assembly is a Colorado company specializing in quick-turn, SMT assembly for design engineers needing low volume or prototype printed circuit board assembly. For more information visit https://www.aapcb.com or call 1-800-838-5650.